Nitrous oxide, more commonly known as laughing gas, is often used as a conscious sedative during a dental visit. The gas is administered with a mixture of oxygen and has a calming effect that helps phobic or anxious patients relax during their dental treatment. Because it is a mild sedative, patients are still conscious and can talk to Dr.Staves during their visit. After treatment, the nitrous is turned off and oxygen is administered for five to 10 minutes to help flush any remaining gas. The effects wear off almost immediately. 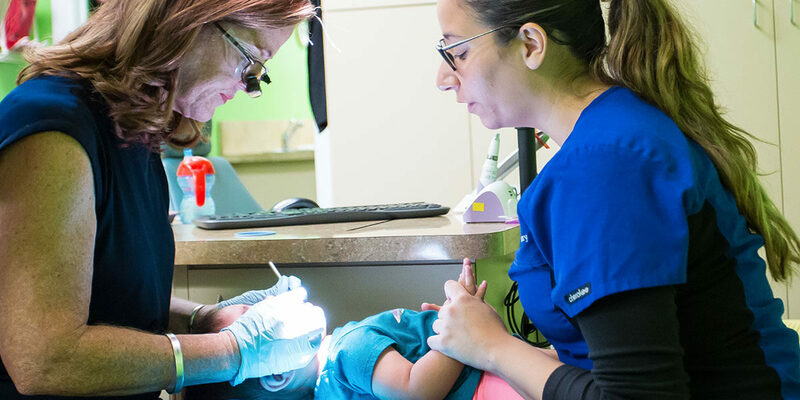 For those who cannot maintain or receive traditional dental care, hospital dentistry offers a compassionate, efficient alternative. Frequently, patients who are medically compromised have no time to maintain a rigorous dental schedule in addition to their other medical treatments. In some cases, these patients may be unable to travel outside of the hospital setting in order to receive treatment. Also, patients who have compromised mental functions may be unable to complete standard dental regimens on their own or may feel heightened anxiety about the responsibility. In some cases, dental needs and medical problems may be intertwined, requiring the presence of both a medical doctor and a dentist. These cases require localized, comprehensive care, and Dr.Staves can provide this at All Children’s Hospital. There are few occasions that we will recommend a referral to an office that provides conscious sedation due to a patients age, extreme anxiety, or special needs. Our office will assist in setting up an appointment for the referral as well as sharing any needed information and radiographs. Conscious sedation is used for your child’s safety and comfort during dental procedures. Sedation can help increase cooperation and reduce anxiety and/or discomfort associated with dental treatment. Various medications can be used to sedate a child; your child’s medicines will be selected based upon your child’s overall health, level of anxiety, and dental treatment recommendations. Most children become relaxed during sedation and/or drowsy and may even drift into a light sleep from which they can be aroused easily. Unlike general anesthesia, sedation is not intended to make a patient unconscious or unresponsive.